What compels God to love a frail and vulnerable man? I am amazed how a God like Him could love us. Church leaders and ministers are not exempted on how frail human life is. These people are also susceptible of being hurt. Our vulnerabilities get us down. In these situations, God's perfect love is the best panacea to a wounded soul. His love has been manifested towards us through His creations. We can read of His unconditional love in the Bible. We completely sense His love because of our Christian brethren surrounding us. It is the fellowship of believers that will keep us reminded that we are not alone. A minister keeps inflamed with his passions when he knows his real worth in front of God and the people whom he is serving. A simple thank you and appreciation motivates to keep on. 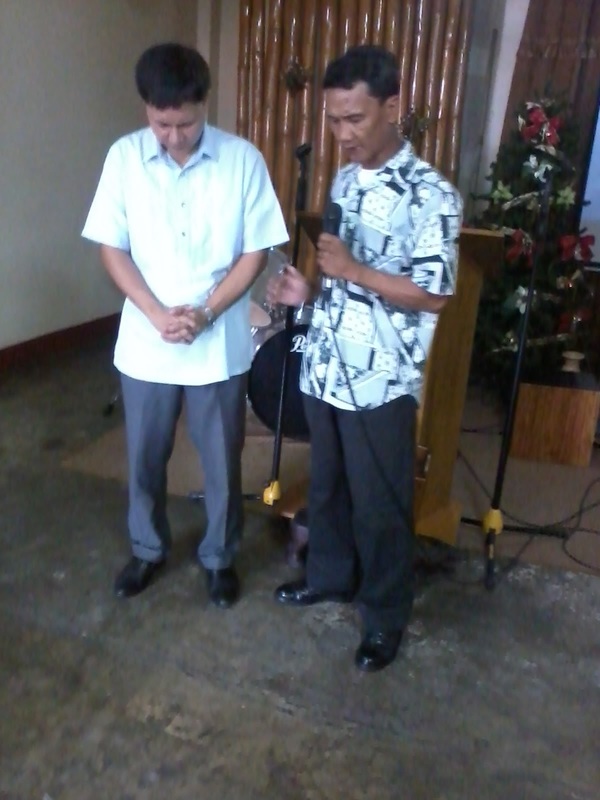 Christ Stewards Fellowship chose October 28, 2012 to celebrate Pastor's Appreciation Month. Every last Sunday of the month is assigned for our Celebration Sunday. I would personally thank our dear CSF members for their effort of giving Pastor Celso Namuco a surprise party appreciating his service in this church for seven years. Christians are helping in the preservation of the community around them. I am happy for our church members who continually serve their purpose in reaching more people for Christ. 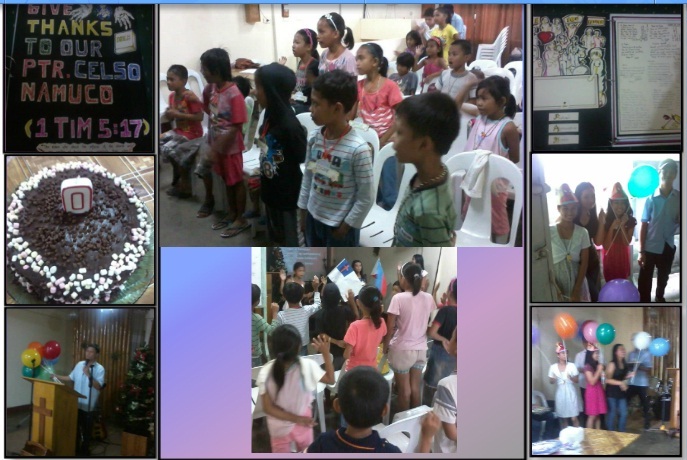 After the fellowship during Celebration Sunday, all will be busy preparing the afternoon program for the needy families. Everyone is taking their part - someone will cook and prepare the snacks, manage the program and presentations. The load is lighter because the work is divided and shared. With this, a lot more souls are drawn to Christ. We can continually seek for remedies in our life's troubles, but none can give the perfect panacea like what Christ has offered. Complete assurance are for those who found the panacea. And for those who were able to find it has a responsibility of sharing it others.